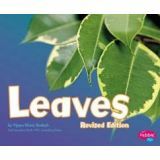 Text and photographs introduce leaves found on plants, and includes information on how they grow, along with their uses. Ages 4-8. Paperback. 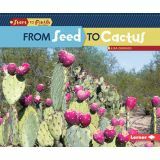 Each book in this series takes a very simple look at a different sense: taste, sight, hearing, touch, or smell. 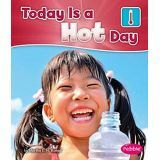 Leveled text with repeated use of high frequency words makes the books perfect for beginning readers, while bright, colorful photographs complement the text and maintain readers' interest. PreK–Grade 1. Paperback. Earth Day is officially April 22nd. It's a special day on which we plant trees and clean up litter. But we should do that every day! 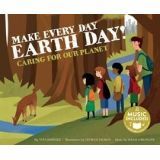 In this catchy song paired with colorful illustrations, children learn how to care for our planet. This paperback book comes with online music access. PreK-Grade 3. Paperback. 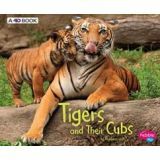 Easy-to-follow text and photos introduce readers to tigers and their cubs. Plus each title includes bonus augmented reality video to help readers learn more. Ages 4-8. Grade PreK-2. Paperback. A 6-piece set allowing children to see the world through new eyes. With lenses to change the color of everything they see, a giant magnifier and mirrors to give true and distorted reflections of the world around them. Can be stacked for color mixing and for use on a light panel. Set includes transparent acrylic in red, blue and yellow, magnifying lens (with 3x magnification), two sided convex/ concave mirror and plane mirror. Frame size 7.25" x 4.75" x .75". Grades PreK and up. 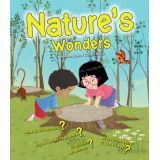 In this book, you can discover the answers to questions like: What is thunder? How do plants eat? What's a fossil? How do crickets chirp? Why do some animals sleep all winter? 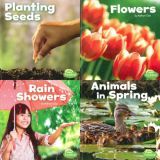 You will find lots of fascinating information and see many beautiful full-color illustrations on the climate, the Earth, the sea, plants, and animals. Get ready to discover Nature's Wonders. Grades 1-4. Ages 6-10. Paperback. 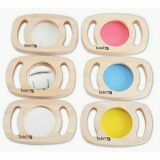 Explore the world of magnets with clear text, real-world examples and fun, safe step-by-step experiments. 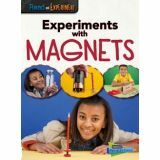 This book brings the science of magnets to life, explaining the concepts and encouraging children to be hands-on scientists. Paperback. The weather is hot today. Do you know what to do? 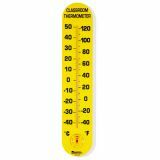 Come explore the weather today and learn what to do on a hot day. Grade K. Paperback. 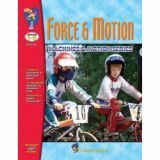 Teach the various types of force and motion, to broaden students' knowledge of basic concepts such as gravity, air pressure, motion, and others while developing opportunities to relate science and technology to life outside the classroom. 96 pages each.